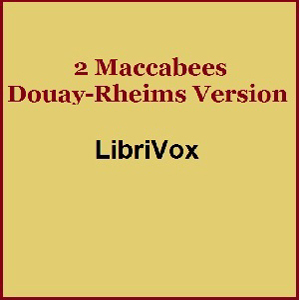 The Book of 2 Machabees (more commonly rendered 2 Maccabees) is an abridgement of another work, now lost, which describes the events surrounding the defeat of Antiochus IV Epiphanes and the rededication of the Jewish temple in the 2nd Century BCE. It's canonicity (status as Holy Writ) was established later in the Christian era, and hence forms part of the deuterocanon (2nd canon). It is excluded from the Jewish bibles as well as modern Protestant bibles. The Church of England, in 1571, affirmed that 2 Machabees, as well as several other books excluded from the Protestant canon, "the Church doth read for example of life and instruction of manners; but yet doth it not apply them to establish any doctrine" (The Thirty-Nine Articles of Religion, Article VI).